Schedule your 2010-2011 presentation today! Call 800-803-4303 or contact us. Learn how to turn generational conflict and social media into a competitive edge. 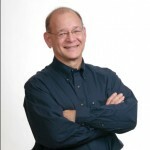 During this presentation, participants will learn from workforce management expert/author Ira S. Wolfe about what defines each generation and how the convergence of youth, aging workers and technology is changing the way employers will do business. Generation differences are a really big deal. Ignorance will not be bliss!